Lyme disease is the world’s most common tick-borne illness and new science shows it may be at least 10 times more rampant than official estimates. In a 2014 paper by leading Lyme disease advocates: Lyme Disease: Call for a “Manhattan Project” to Combat the Epidemic, authors provide a comprehensive glimpse into new Centers for Disease Control and Prevention (CDC) studies, discuss the historically complex and controversial approach to Lyme disease diagnosis and treatment; and contrast Lyme disease to the HIV/AIDS epidemic to provide a clearer view into the disease’s actual impact on society. 3. 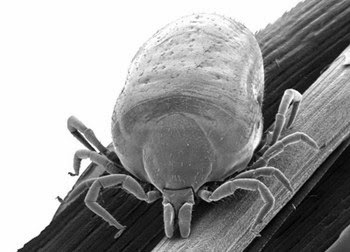 Epidemiology and clinical characteristics of Lyme disease diagnosed by health care providers: Results from a large national database study – finds that Lyme disease is treated by many healthcare providers, though not formally reported. Authors concluded that children (inpatient) and women (outpatient) are more likely to be diagnosed. As Bayer HealthCare Animal Health, a company committed to “Science for a Better Life,” we raise awareness of diseases that affect animals and humans and thus are of zoonotic nature. Although study authors have so far been unable to determine how pets, as well as farm animals, are included in Lyme disease transmission, new science has shown that dogs are getting Lyme disease 21% more frequently than in 2009, corresponding with an increase in the tick population during the same time period.